Thanks to our incredibly brilliant and creative inventors, we are blessed with tons of product and gadgets which make our lives so much easier to handle. These people have a constant drive to change the way we live around the world. However, the legal process involved with bringing an invention to life can be extremely uninspiring and overly complex. Because of this, inventors are susceptible to making several common mistakes. that you properly document every part of the invention process. The reason is that these patent applications are extremely exhaustive and detailed. Without having everything documented, you will lose the valuable information necessary to successfully complete the process. You must recognize that our memories can only remember so much, and that everything should be written down for safe measure. Some inventors forget to do a patent search to see if their product has already been patented by someone else. You may believe that your product is unique, but you must take a step back and realize how many published patent applications are out there. You may find something already patented that is similar to what you've created. Another common mistake made by inventors is failing to apply on time. You must remember that inventors, after selling their first product, only have one year to apply for the patent. It may seem intimidating but you must act quickly once your product is ready to be sold on the market. As mentioned before, the application process is extremely difficult to get through. In order to tackle this issue appropriately, you should consider looking into an experienced patent attorney for help. 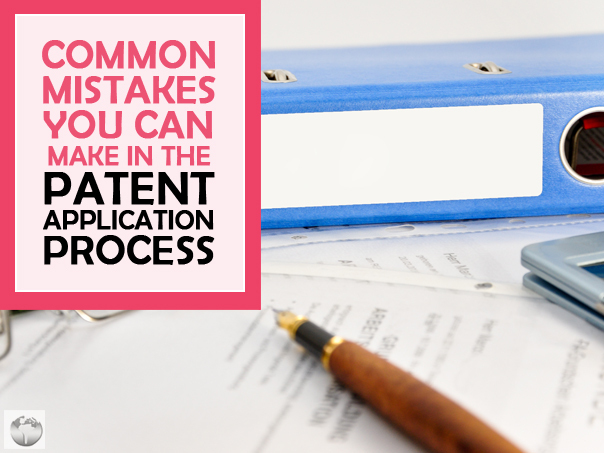 The mistakes above can all be corrected by having someone knowledgeable on the patent application process. Don't let a great idea be ruined by the patent application, seek a patent attorney to help you through the process.